Wildfires burning in the Castilla-La Mancha area of southeaster Spain. Security seems to be at the top of everyone’s mind today. Government agencies, first responders and NGOs are all placing more emphasis on safeguarding staff and assets as these essential workers travel to ever more remote locations and play vital roles in hazardous environments. In part, this is because regulators are increasingly mandating that organizations demonstrate a commitment to upholding the welfare of personnel. Commercial and non-commercial entities have a duty of care to safeguard staff who work alone, or in isolated regions, and those who face hazards on the job. At Globalstar, the company sees satellite solutions for such environments used in ever more diverse security situations, including tracking and securing fixed and movable assets as well as people. Users of such crucial services span emergency services, military and defence organizations, non-governmental first responders as well as other authorities that are responsible for delivering public services and managing resources. Importantly, the technologies in these deployments are fulfilling additional roles for users, including enhancing operations, maximizing the value and lifespan of their key assets as well as cutting costs. When that money is public money, such as in the case of emergency services, it is in everyone’s interest that the funds are well invested. 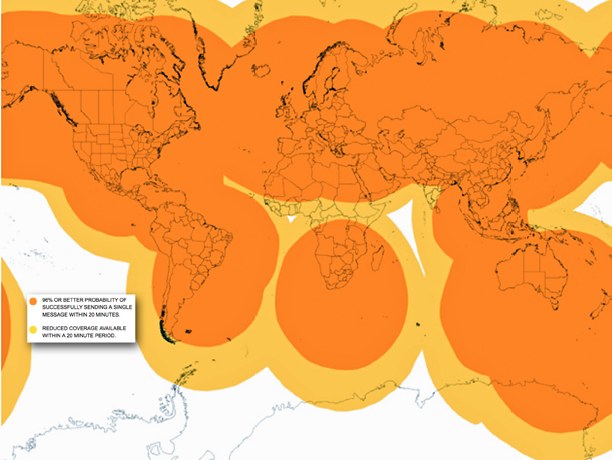 One of the most valuable security features of satellite enabled asset tracking is the ability to create a geo-fence. A geo-fence is a virtual, invisible enclosure that determines where an asset, such as an item of heavy machinery, can move. The system can be established so that, if the item moves outside of this virtual fence, an alert will be issued. For instance, such a message could be sent via SMS to alert the user that something is wrong and can help forestall attempted thefts. These systems are highly flexible and configurable. Satellite trackers can check in on an asset just once a day, or more frequently, should the user so wish. For instance, a drill for excavation equipped with a small tracking device will ping at pre-determined intervals to verify location or will provide notifications if the asset has moved. The user can be made aware when equipment has been stolen or used in an unauthorized manner. Plus, the motion sensors can expand the security possibilities to include monitoring of doors being opened or closed, and so on, and can be adjusted to the required sensitivity. Kosovo and Georgia are striving to build a better future for their citizens. EU peacekeeping organizations European Union Monitoring Mission in Georgia (EUMM) and EU Rule of Law Mission (EULEX) are charged with maintaining law and order in the region, as well as with carrying out judiciary, policing duties and border patrol. Officials were committed to finding a technology that would reliably track and safeguard their staff, even when in locations beyond the reach of radio and GSM. In early 2017, they deployed SafeFleet Telematics, which uses Globalstar satellite communications and chipset technology, and installed discreet tracking devices in their vehicles. Radio, GSM and SIM-based solutions had all been considered, but only SafeFleet Telematics was deemed able to deliver the required reach and reliability. The platform, developed by Globalstar VAR, ETA Automatizari Industriale SRL, based in Romania, is a bespoke solution. A firefighter using his SPOT Gen3 tracking and safety device. The system ensures security teams know the exact whereabouts of peacekeeping staff as they travel across the region. However, SafeFleet Telematics does far more in providing solutions. The technology also monitors driver behavior, with sensors measuring any erratic movement such as an engine over-revving, or sudden braking, and compares such actions against GPS positioning to help identify irregularities. The technology allows these EU organizations to monitor fuel consumption and other engine metrics to optimize vehicle performance and better manage fleet maintenance schedules. This helps the vehicles to stay in serviceable life for longer, and helps reduce maintenance costs and vehicle downtime. Motion sensors and GPS gather and transmit asset status information over Globalstar’s satellite network such as movement and location reports, stop/start messaging and theft recovery alerts via email or text message. The system also transmits data on battery status, input alarm status and diagnostic information. In addition to satellite communications, this deployment uses RFID-based identification to ensure the driver of the vehicle has the correct authorization and is in possession of the required licenses. Also, as an additional safety measure, a one-touch panic button on the dashboard enables the driver to alert security teams and to summon help in case of an emergency. 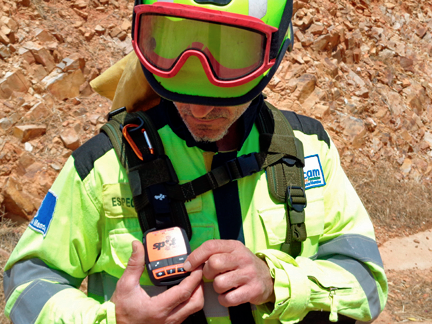 EU peacekeeping organizations in Kosovo and Georgia have deployed SafeFleet that incorporates Globalstar’s SmartOne technology. Furthermore, this intelligent system uses GSM when is available and, when it is not, automatically switches to satellite. This smart network swapping capability maximizes cost effectiveness, while ensuring uninterrupted connectivity. Although originally being developed as a tracking and safety device for adventurers and outdoors enthusiasts — the first generation of SPOT was launched in 2007—- now in its third generation, SPOT Gen3 is more popular than ever with consumers as well as increasingly being used to enhance the safety of lone and remote workers. SPOT has helped in 5,500 rescues worldwide to date. SPOT uses satellite communications to share the user’s location via Google Maps. If someone is faced with an emergency, with just a single press of the SOS button, the user’s GPS coordinates will be instantly transmitted to the GEOS International Emergency Response Center where rescue notifications to search and rescue authorities will be initiated and managed. First responders are among these professional groups who have embraced SPOT. As fire authorities strive to improve operational efficiency, and to better safeguard crew, they are increasingly turning to satellite technology. 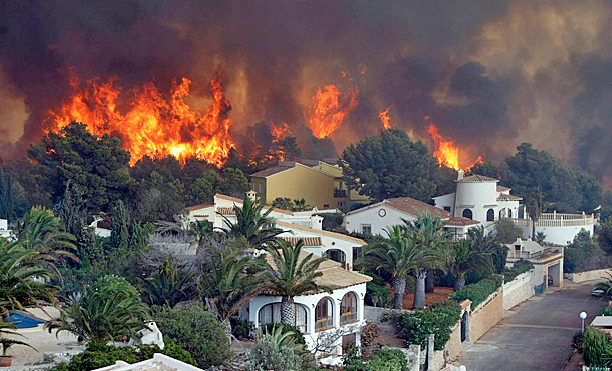 Castilla La Mancha is a vast region in central Spain where forest blazes and wildfires are a fact of life. Junta de Castilla La Mancha, the administrative authority whose responsibilities include forest fire and wild fire management, employs some 2,000 response personnel who are always on standby to help keep forest and wildfire at bay. The administration recognized a need to enhance safety for crews in the extremely dangerous situations they routinely face. Junta officials talked to wildfire solutions specialist Technosylva, provider of fire behavior analysis and management software. Joaquin Ramirez Cisneros, Principal Consultant at Technosylva, explains why Globalstar’s SPOT Gen3 was chosen to meet the Junta’s requirements as an integral part of his company’s Wildfire Management System, fiResponse. However, this satellite technology is doing more than helping keep firefighters safe — it is helping them manage fires more effectively. The authorities also installed SPOT Trace satellite tracking devices on pumps, helicopters and aerial fire apparatus, allowing operations coordinators to know precisely where their resources are, where they need to be, and how much time it will take for them to get there. During the many unfortunate natural and man-made humanitarian crises across the globe, first responders and NGOs offer a vital lifeline to stricken communities. The dangerous nature of many of today’s humanitarian aid efforts makes it essential for these individuals, many of whom are volunteers, to consider their own safety before they can help others who are in dire need. Specifically, a number of crucial communications-based security measures need to be in place. The Lebanese Red Cross, for one, uses SPOT Gen3 to track the location of its volunteers and search and rescue teams as they respond to critical emergencies. These devices facilitate the delivery of first aid and other support to those in need while helping NGOs better manage their organizations and coordinate operations. They also help improve inter-NGO coordination. Disaster Tech Lab (DTL), for instance, is a non-profit organization that provides communication technology to support humanitarian relief in the world’s disaster zones. Since 2015, DTL teams have been assisting with the refugee crisis that is affecting Europe and the Middle East. 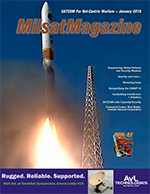 The success of these deployments owes much to the creative engineering from Globalstar’s value added reseller network. While security is the primary driver for many customers, quite evident is that satellite solutions offer many additional features that yield a broad range of operational and resource management benefits. As NGOs, first responders and other providers of essential public services maximize the value of their investments in satellite technology, they also find they are getting better return on investment in key assets. Based in Globalstar’s European HQ in Dublin, Gavan is responsible for the development and implementation of Globalstar’s marketing strategy across the European, Middle Eastern and African regions. He spearheads the marketing of Globalstar’s consumer products, including the SPOT tracking solutions portfolio, as well as the B2B marketing of voice & data solutions for a range of vertical sectors including maritime, energy, safety & security, commercial fishing and shipping, construction and heavy industry as well as the burgeoning M2M/IoT sector.